Large wall pack fixture. Durable cast aluminum construction. Clear, prismatic, heat resistant, Lexan lens. Finish available: Bronze. Fixture includes (1) 45 watt LED board. Fixture pre-wired with UL listed wire/cable. 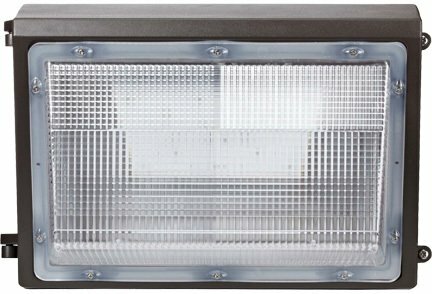 Fixture hood available: p-hood-dw-led1700 (sold separately). specification: overall dimensions: 9.25"H x 14.21"W x 7.40"D. 100-277 Volts. Maximum lamp wattage: 45 watts (fixture includes (1) 45 watt LED board).